It’s no secret that Austin, TX has a rich & thriving music scene. The city is home to SXSW, Austin City Limits, and many other musical festivals that we’d be right at home at if we had the frequent flyer miles to support our constant traveling. So when we discovered that Quiet Hounds had their roots set in the heart of Texas, we knew it’d be good. 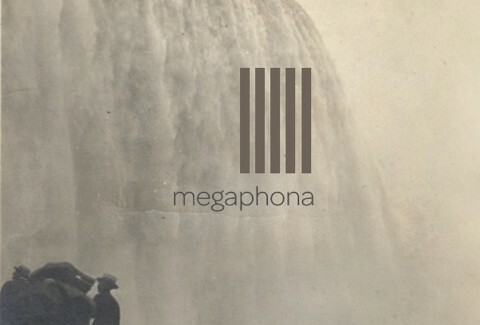 Their album Megaphona could easily be classified as indie rock but there are so many layers to their sound. Throughout the album, you’ll hear harmonica, brass instruments, clapping/chanting and that’s in addition to the already catchy lyrics and melodies. Vocals are clean and the drums will have you tapping along. The production is top notch. This is music that you’ll want on your roadtrip playlist. Quiet Hounds: We are really inspired by so many bands both new and classic. Delta Spirit is one of the band favorites for sure, those guys are possessed. We listen to a ton of Dawes, Ryan Adams and Doves as well. Guy Garvey & Craig Potter are supposedly producing a solo effort from Jimi Goodwin of Doves. If thats true there may be hope for world peace. Also in love with Sigur Rosand Pink Floyd. The list is vast. TKF: What’s the weirdest or coolest thing that happened while performing on stage? QH: We’ve only played a handful of shows so far. Nothing too weird has happened that I can recall. Someone did “Shooosh” some chatty fans at our inaugural show during a quieter song. I thought that was pretty outstanding. QH: We enjoy thinking about making more music, when we are not making music. Sometimes its a little but much, but we are fortunate enough to make music with each other, so what else is there to top that? Some do consume an unhealthy amount of caffeinated beverages, I supposed thats something other than music? TKF: In the epic battle of desserts, who wins? Cake or pie? QH: Pie definitely wins. There is a greater likelihood of authentic non auto-tuned ingredients in pie. What the hell is even in most cakes? QH: We are always writing and recording but I think the main stay of our journey at this point is curating our concerts and making them events vs. just doing the normal stuff. We put a lot of care into our music, from the writing to recording to the packaging. Its all very important to us. The live show should be just as important as anything else.